The Sunspot Solar Observatory in New Mexico was shut down last week, following a mysterious incident that summoned the FBI and attention from media. As conspiracy theories mount and add an air of intrigue, the still unconfirmed cause of the evacuation has been kept under wraps, prompting confusion from local law enforcement who have no idea what the hell is going on. The natural recourse for the conspiracy-prone among us has been to shout "aliens!" at full voice, however the observatory's top brass has clamped down on the notion of extraterrestrials making human contact. James McAteer, director of the Sunspot Observatory and a professor at New Mexico State University, told local reporters that the facility's telescope hasn't encountered species of a non-Earthly provenance. In other words, no aliens here, folks. "[The] telescope did not see aliens. All data will be made public in its unaltered form. Nothing is hidden or kept secret," he told KOB, presumably after rolling his eyes and taking a long, languid sip of coffee. 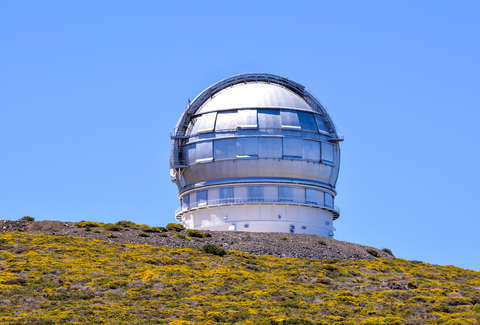 Following the unspecified incident, the observatory was shut down and an evacuation was ordered by the Association of Universities for Research in Astronomy (AURA), which controls and operates the facility. A statement on the observatory's Facebook page from September 6 reads: "Due to site closure, the Visitors Center, along with the Dunn Solar Telescope is temporarily closed until further notice." While officials have cleared the air about aliens, the actual cause of the impromptu shutdown and FBI investigation remains a mystery. If you'd like to tread into the conspiracy soaked waters of Reddit, where commenters have suggested Chinese espionage as the reason behind the shutdown, do so at your own peril. This is Sam Blum's last post as a Staff Writer at Thrillist. Long live Diego the Tortoise.